Best known for his outrageous daredevil stunts on realityTV shows Jackass (which was later made into a series of movies) and Viva La Bam, Ryan Dunn lost his life in a car accident on June 20, 2011 at the age of 34. His death stirred a flurry of searches on the popular figure that carried on for nearly a week after his passing. On the week of his passing, there were nearly as many searches for Ryan Dunn as for the keyword 'weather'. And as crazy as it might sound, some American news outlets even wondered if the star's death was an elaborateJackass prank. 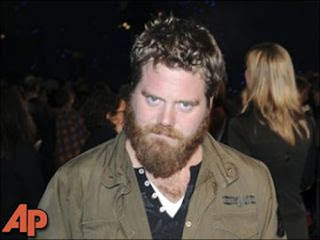 From speculation about drunk driving to an emotional funeral, Ryan Dunn was a major topic of interest in 2011.